Albufeira – A Mountain Biker’s Paradise. 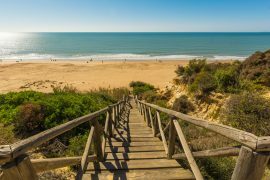 Albufeira is well-loved by holidaymakers for its fabulous weather, silky sand beaches and world-class golf courses, but there’s something else to attract people to the region: proximity to some of the Algarve’s best places for mountain biking. What Makes the Algarve so Popular Among MTB Enthusiasts? The Algarve combines a number of factors to make it ideal for mountain bikers of all abilities. One of these factors is, ironically, the fact that it’s not enormously mountainous: the region’s highest peak is in the region of 1,000 metres, meaning you won’t spend all day on tedious climbs or winding drives to get to the good stuff. Despite its reasonably low elevation, the region is blessed with all kinds of rugged terrain and unique rock formations, often mantled with gnarled, scrubby woodland. MTB lovers can expect a rough ride down firm, rocky terrain, slipping in and out of woodland and carving their path with precision; in short, you can be sure of excellent riding. The raw beauty of the region also adds to the thrill of the sport: add to the excitement of the ride the beauty of the surroundings, and you have a recipe for an unforgettable MTB holiday. Another factor would be the region’s weather conditions. The weather is warm and inviting, but most of all, it’s dry. This means that you’re highly unlikely to have to deal with muddy conditions or slippery rocks during a day’s riding, and you can rely on firm, satisfying traction and responsive steering along your chosen route. 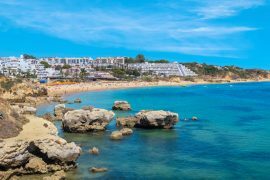 Albufeira is a good city from which to base yourself, as it is close to a number of MTB spots as well as giving you the option to take a day off and spend it resting on the beach. For good MTB, we’d recommend cycling along the coast or inland and finding your own off-road spots, although be sure to stay off private land. If you want to make a day of it, we suggest driving inland to some of the harder-to-reach spots. Only about 15 miles northwest of Albufeira is Foia; the region’s highest mountain. At 902 metres, there are plenty of routes to take up and down the mountain, and we’d recommend booking a car to take you to the peak and follow you down so you don’t have to worry about parking or making a tedious ascent. Alternatively, get a shuttle service to take you to the western coast. It’s not the most intense riding but there are some truly spectacular views, and it makes for a lovely, relaxing day on the bike. Be mindful of your surroundings, however, as the south-west coast of Portugal is a national park and area of conservation. 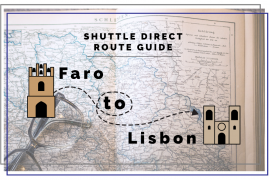 First you’ll have to fly to Faro Airport. Ryanair, Monarch and easyJet all offer flights from Luton, Gatwick and Stansted airports, and flight time is 2 hours and 50 minutes. 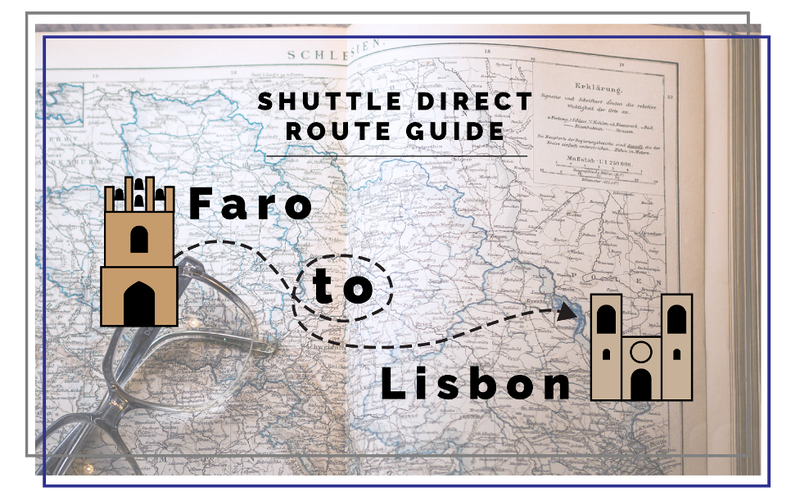 Once you’ve landed, we’d recommend taking a Faro airport transfer for a hassle-free trip to Albufeira. 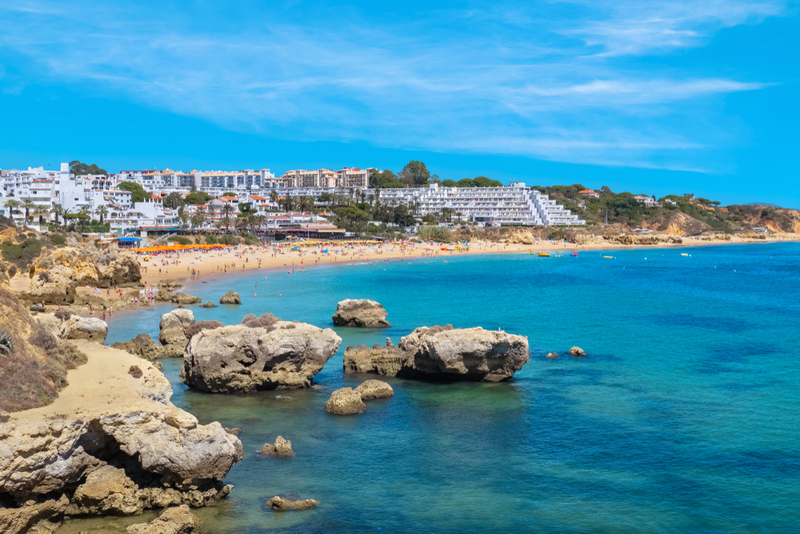 If you’d prefer to drive, take the A22 and you’ll be in Albufeira in around 40 minutes, although bear in mind that you’ll need to pass tolls along the way. Unfortunately, there are no public transport links between the airport and Albufeira. Agua Marinha – if you’re prioritising value for money, Agua Marinha is almost unbeatable. As well as quality accommodations it has its own outdoor pool, as well as bike rental. While their bikes make for a lovely way to enjoy a paved route, they may not be suitable for off-roading, so if you’re not bringing your own bike then consider looking elsewhere for MTB rental. Monte da Vinha II Apartments – if you like your privacy, we’d recommend Monte da Vinha II Apartments. Each apartment has all the equipment you’ll need for self-sufficient living, and there’s also free garage parking for one car per room, which is invaluable if you plan on driving to any MTB areas. Vila Joya – for those who enjoy a little more luxury with their sporting holiday, consider Vila Joya. As well as magnificent rooms and service, the Joya’s restaurant boasts two Michelin stars; it’s a real treat for food lovers. 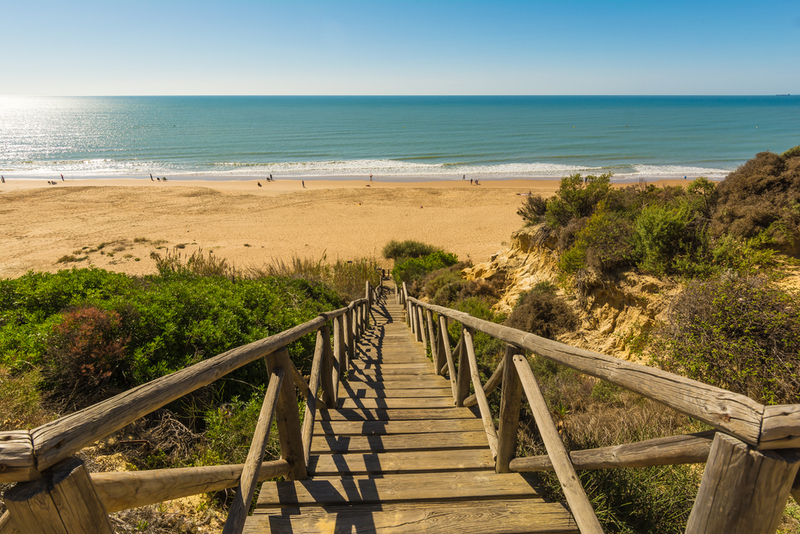 Header image: “Albufeira (Portugal) (9918348073)” by Jose A. 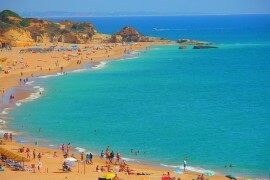 – Albufeira (Portugal). Licensed under CC BY 2.0 via Wikimedia Commons.